POTTSVILLE, Pa. -- Police in central Pennsylvania say a 22-month-old boy has been found locked inside a makeshift wooden cage while his day-old sister and 1-year-old brother were found alone in the same house. Troopers acting on a tip arrived at the North Manheim Township, Schuylkill County home of 37-year-old Cecil Kutz on Wednesday afternoon. Action News has learned Kutz is the father of those children, and their mother is the one who contacted police. Police found a 1-year-old boy in a playpen, a 1-day-old girl in a baby seat and the toddler inside a makeshift cage made of plywood and wooden lattice, locked from the outside. 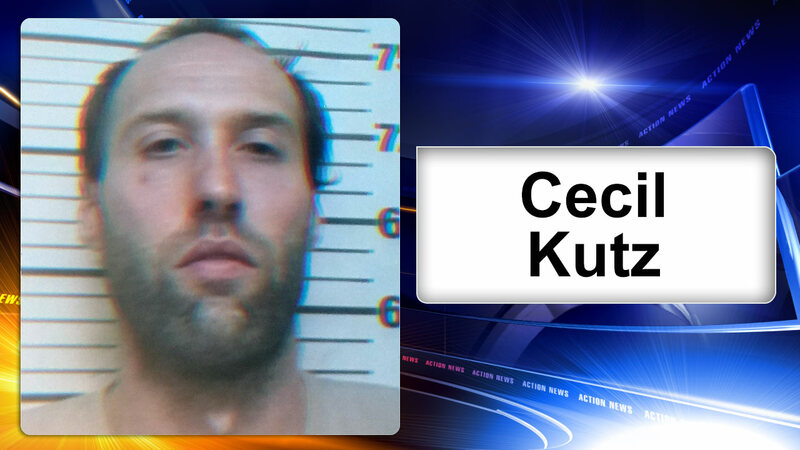 Police arrested Kutz on child endangerment charges when he returned home. He remained jailed Thursday and didn't yet have an attorney. A state police investigator told Action News he "never saw a scene like this." The investigators also said that putting the 22-month-old in the cage was a routine thing for Kutz, not a one-time event. Police say the children's mother is hospitalized with complications from the youngest child's birth. The children were placed in county custody.